Pick new Bar Stools that will create an island feel in your home with the Key Largo Indoor Swivel Bar / Counter Stool from Pelican Reef. Traditional materials such as wicker and rattan build this indoor seating option, with a built-in swivel mechanism that adds modern function and movement. 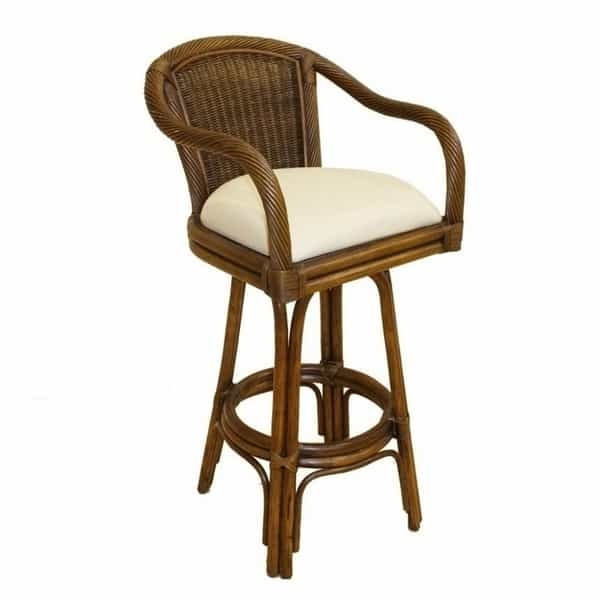 The style is exceptional, with hand rails, stiles and a top rail that showcase an impressive pencil rattan twist. Back Height 37" or 43"